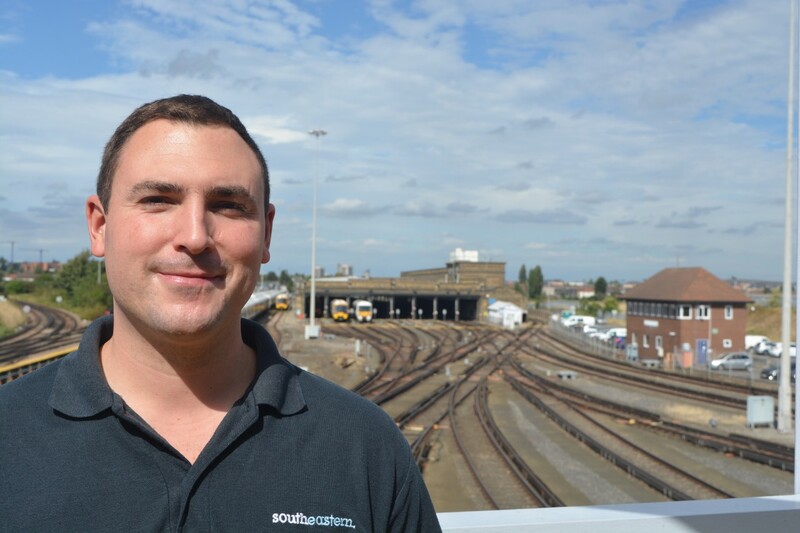 34 year-old Scott Noye was working as a Patrolman when a chance encounter in 2013 helped him move on to joining Southeastern Railway. Scott gained his qualification with IPS Apprenticeships. He recollects, “I really enjoyed my two years at IPS. The tutors were fantastic. If at times I was struggling with certain areas within a unit, at the end of that class or even during, they would explain it thoroughly and give you help and guidance. “The main moment that stood out for me was being awarded project of the year. This really took me by surprise. I had worked extremely hard and put in many hours to tweak my project and the written work that went with it. It was a great evening and good to have a drink with the tutors. “The qualification helped me gain promotion to SE3. The knowledge gained from the course along with the excellent IPS staff will stay with me for life. I have never been a `Grade A student` but to be given the opportunity to go back into education as a mature student was fantastic. All of the units covered at IPS were relevant to my role and have given me more confidence and expanded my skills set. If you are given the opportunity, grab it with both hands. The tutors are absolutely brilliant. I achieved a D*D and although I found it hard and time consuming whilst running a home and supporting a wife and children, I look back and appreciate what I achieved.